Trinidad (Trini) Chavez, 82, went to be with our Heavenly Father on Monday, December 20, 2010, at home with his family by his side in Topeka. He was cared for by his beloved wife of 60 years, Rachel Tetuan Chavez. He was born November 4, 1928, in Williamstown, Kansas to Herminia Alvarez and Francisco Chavez and was the eldest of 14 brothers and sisters. 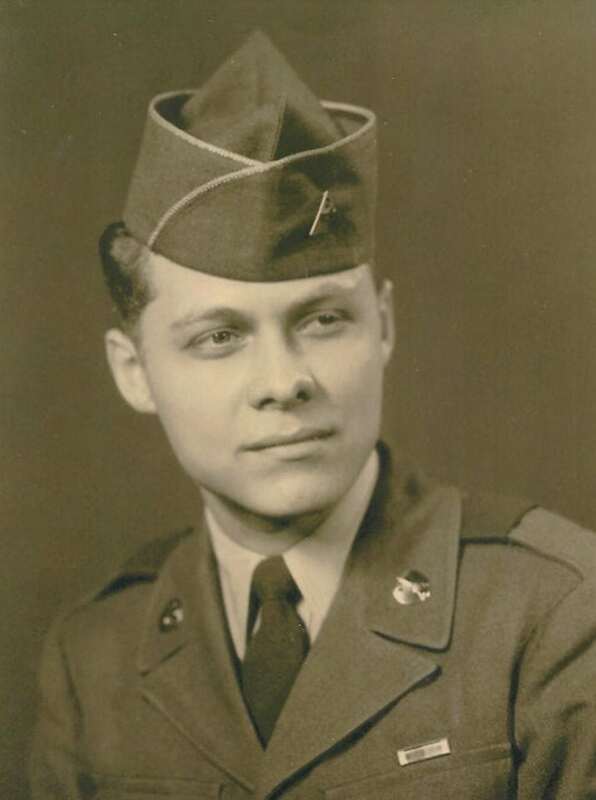 He served in the U.S. Army during the Korean War obtaining a rank of Corporal serving in Germany. Trini will always be remembered for his hard work, determination, persistence and unwavering support of family and community. He was a life-long supporter of Our Lady of Guadalupe Church, the Topeka Fiesta, as well as other organizations and causes. He was a member of the Knights of Columbus, Nate Morales Chapter. Surviving sons include Richard (Christy) Chavez of Topeka; Daniel (Carla) Chavez of Lawrence; David (Sarah) Chavez of Olathe; and Luis (Bonnie) Chavez of Topeka. Surviving daughters include Linda Rivera and Rachel Martinez both of Topeka. Trinidad has 23 grandchildren and 12 great grandchildren. Trini is preceded in death by sister Consuelo “Chae” Alcala, Topeka and brother Rafael Chavez, Hiahleah, FL. Survivors include brothers John Chavez of Lawrence, KS; Frank Chavez of Kansas City, KS; Carlos Chavez of Shawnee, KS; and Michael Chavez of Topeka. Surviving sisters include: Lupe Jaramillo of Topeka, Carmen Gomez of Topeka, Mary Robles of Lawrence, Helen Martinez of Lawrence, Socorro Cordero of San Antonio, TX, Isabel “Bolie” Gonzales of Topeka and Vicki Reyes of Ft. Worth, TX. Mass of Christian Burial will be celebrated Thursday, December 23, 2010 at 10 a.m. at Our Lady of Guadalupe Catholic Church. Visitation will be from 2:00 to 9:00 p.m. Wednesday at Brennan-Mathena Funeral Home with a rosary at 7:00 p.m. Interment will be at the Mt. Calvary Cemetery with military honors conducted by Philip Billard Post #1650 of the V.F.W. Memorial contributions may be made to Our Lady of Guadalupe Church and sent in care of Brennan-Mathena Funeral Home, 800 SW 6th Ave., Topeka, KS. 66603. Online condolences and fond memories may be left at www.brennanmathenafh.com.